Prime Minister Justin Trudeau has been the centre of many jokes regarding his pretty boy looks and nice hair. This new hot sauce continues the trend calling itself M.I.L.F. Sauce (Minister I’d Like to…). The product is just the latest in a long line of Trudeau paraphernalia. Buckstone, a company based out of Canada has been releasing a whole series of politically inspired hot sauces. Their brands include the likes of Trump Sauce and Wynnter is Coming – Kathleen Wynne hot sauce. The Justin Trudeau Prime Hot Sauce recommends that you use it liberally. Despite the brilliant marketing, the bottle of Habanero hot sauce is tough to find. The Buckstone website does not offer a price or list any locations where you can find the product. So far, the bottle has only made an appearance at Grace in the Kitchen grocery store in Ottawa for $10.50, thanks to the sharp eyes of one Reddit user. 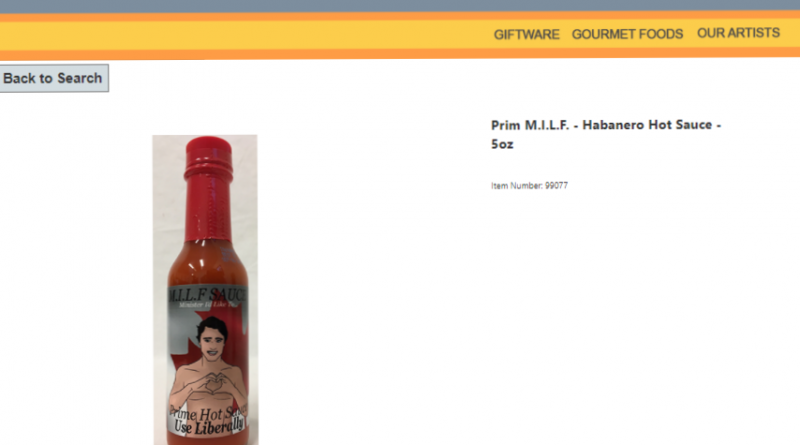 Whether you are a fan of Trudeau or just a fan of novelty condiments, you will want to keep your eye out for M.I.L.F Sauce.